Halloween has apparently become the most perfect date for the Brexit nightmare to end, at least social media users think so. After the European Union agreed to give the UK prime minister a “flexible extension” of the Brexit horror story until 31 October, Chancellor Philip Hammond said Theresa May will remain in office until she takes the country out of the bloc. 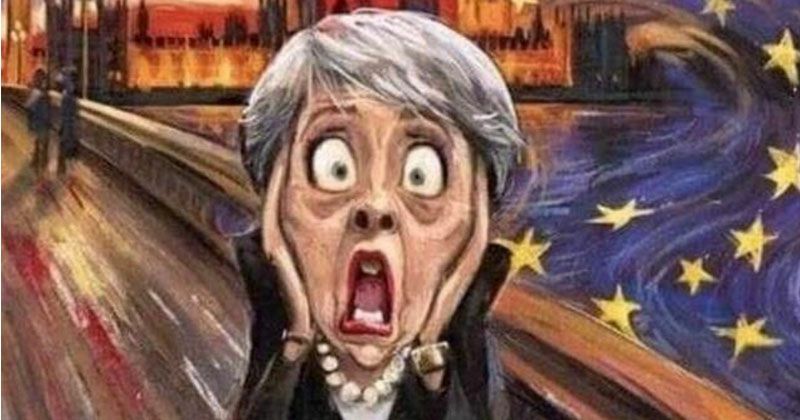 Netizens were simply left no other choice but to troll the “zombie” prime minister and her government, as well as the “Nightmare on Downing Street”. Loving the #Halloween images coming out over the #Brextension news this morning. Friday The 13th….No Wait, March 29th….No, June 30th….Okay, October 31st. The UK was supposed to leave the European Union on 29 March, but Theresa May decided to request an extension since she failed to gain support from British lawmakers for the withdrawal deal she had previously negotiated with Brussels.